Happy New Year Everyone! I can't believe it's 2017 already! I hope everyone had a wonderful Christmas holiday, filled with family, fun, and food! And, let's not forget about chocolate and cookies! All of those sweets are enough to give a person a tooth ache though, which brings me to today's post! I had my dental checkup yesterday and my dentist pointed out that I have enamel erosion. I've had this same enamel erosion for 10 years now, and while it hasn't worn through to the point that I need fillings, the dentist figured it was time to try to do something about it. If you notice in the diagram, it shows the erosion is on the contact surfaces between my molars, particularly on the left side. 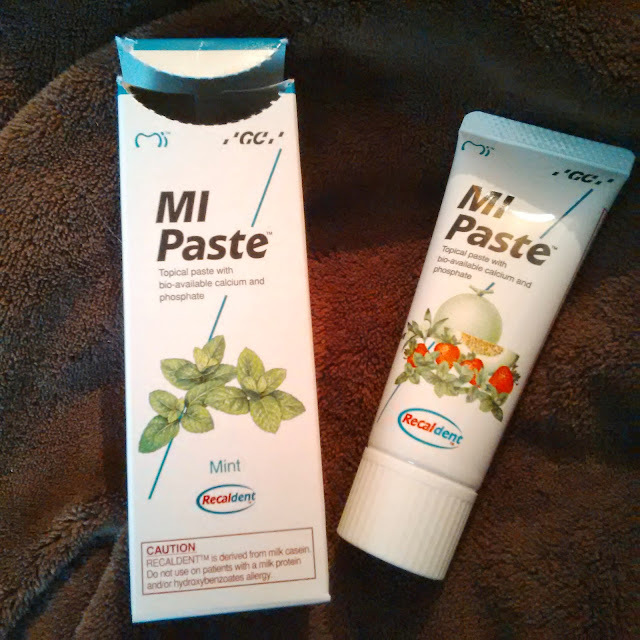 My dentist recommended a special paste called MI Paste which I spread into special dental trays and wear nightly until my next checkup. You can find this product on Amazon too. They also sent me home with a bunch of unwaxed dental floss. I am an avid flosser, and my dentist strongly recommended using unwaxed floss as it picks up more particles than waxed. I'm not surprised by this. Unwaxed floss is very hard to find in my town. If you are having trouble finding it too, you can buy it on Amazon by clicking HERE (Amazon Affiliate Link). 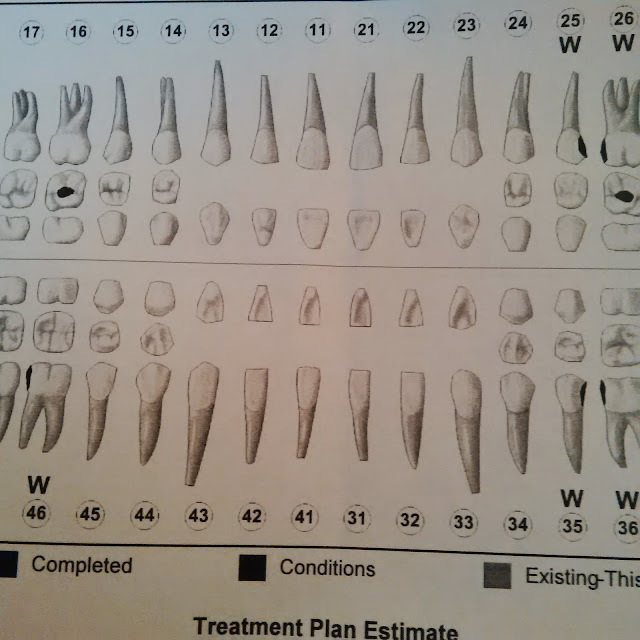 I plan on religiously following the dentist's protocol up until my next checkup 6 months from now, where they will take x-rays of my teeth again to check for progress. I will update this post after my next checkup in 6 months from now and let you know if my tooth enamel remineralization plan was successful. If you have any questions or have your own experiences to share, please don't hesitate to leave a comment. I would love to hear from you.